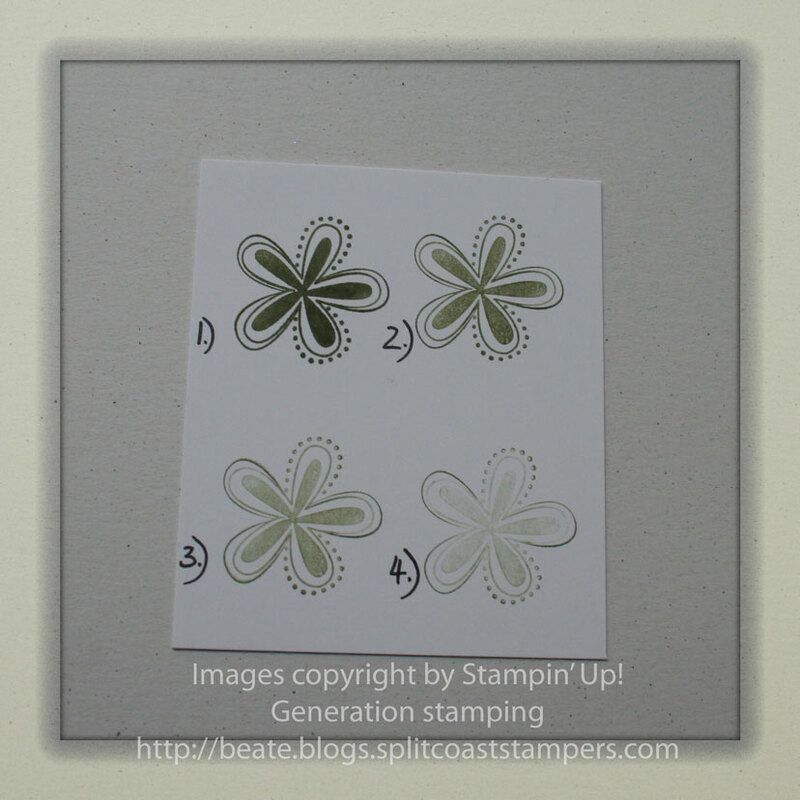 On my blog entry Outlined Tree, I talked about generation stamping. I had a few questions about that and thought I address them as a basic stamping tutorial. It is nothing else then stamping an image several times, without reinking. Here is a sample I stamped with the flower from Priceless. 1.) Image is inked up with Always Artichoke ink and directly stamped on White White cardstock. 2.) Image is stamped again without reinking. This is the 2nd generation of that image. 3.) Image is stamped again without reinking, making it the 3rd generation. 4.) Fourth Generation of the image. Stay at Home Mom of Three, Splitcoast Team Member and Copic and Spellbinders die Lover. This is great! I love how it can chance the image color of the stamp as well if you need it to match a certain pp. Or you can get more of a vintage look of an image with this! TFS!!! This is something I don’t do often but should, it looks great on cards AND saves ink! Thanks for explaining it Beate! Wonderfuly clear, straight forward tutorial, TFS. I do this a lot, only I didn’t know it had a name! I find that I’ll want to use a color, only when I stamp it, it is too bold. And if I stamp it in “generations” is keeps the colors coordinated while giving me more color options! 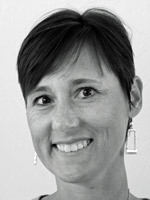 All content, including designs, concepts, text, and photographs are COPYRIGHT ©2012 Beate Johns. Original artworks are shared for your personal inspiration and enjoyment only and may not be used for publication or design contest. Thanks so much for your support!